Rise Of The Blobs is a puzzle game that when you glance at a screenshot you will probably think that it is a nice and cute little game for kids. Well looks can be deceiving because this is one fiendishly tough and tricky little puzzler that is sure to be a huge hit on the iOS. 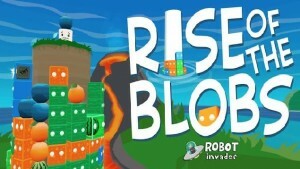 Rise Of The Blobs looks great not just the actual game, but the backgrounds as well are very pleasing on the eye. The story of the game is that there is this little marshmallow looking guy called Mal. For some reason there is a horde of these multi coloured blobs that want him dead. Lucky for Mal he was able to climb up high on a tower before they could get to him, but now he needs you help to keep these nasty blobs at bay. The game play to me felt very similar to a game like Tetris or Columns. The way that Mal can fight back against the Blobs is by throwing fruit down the tower. These blobs love to eat fruit that is the same colour as them. So a red blob will eat a strawberry for example. The tower can be rotated all the way around and there are blobs on every side so you need to swipe to move the tower in order for the fruit to drop on the right blob. Once a blob has eaten a fruit tap him to make him pop and splatter over the screen. If he is touching more blobs of the same colour they to will also be popped. This sounds very easy doesn’t it? Well as a game play mechanic it actually is, but this game gets really tough. You see Mal will pick up speed and before long you will need to be as fast as The Flash in order to keep up with him. You will earn coins that you can use to buy various power ups that will help you along the way. You can also buy some upgrades that will be permanent and make getting past some of those tougher levels a little easier. One really impressive thing is the way that every level is different. I am not just talking about the backgrounds either. The blobs will have a different appearance which is really cool and actually took me by surprise that they would go to this much effort. 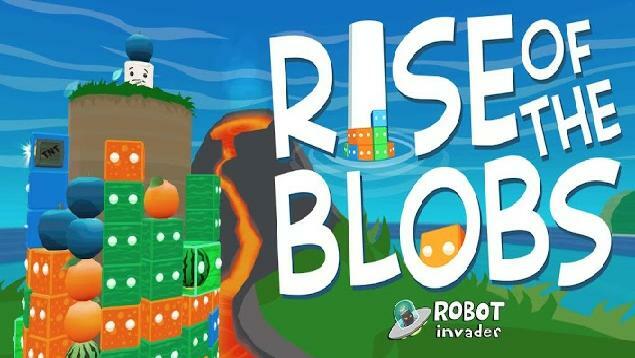 Rise Of The Blobs is a really fun puzzle game that has sky high production values. It does have quite the sharp difficulty curve, but it never gets to the point where it is more frustrating than it is fun. This is one game that is certainly worth a download.